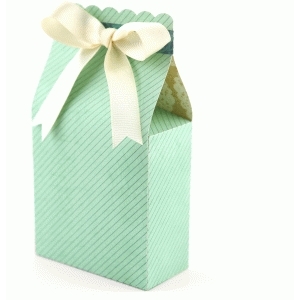 This beautiful box features ribbon holes for closure and a band to hold the top together. Finished size: 3.5x1.75x6.25. 8.5x11 compatible.